I’m beginning to realize that Whole Foods is my one-stop-shop for natural and organic face & body products. It’s really difficult for me to go in to the store without heading over to the Whole Body section and picking up a bar of soap, a scrub, cleanser or a lotion. The products carried at Whole Foods are refreshingly good and made up of eco-friendly plant-based and naturally-derived ingredients, pure essential oil fragrances, gentle preservatives and non-petroleum ingredients. 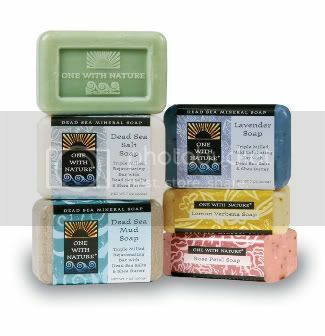 Lately, my favorite products come from a line called One With Nature — a company known as the maker of all-natural Dead Sea Soaps. One With Nature, is a brand of “first’s” - the first Dead Sea mineral soap in the natural foods and grocery market; the first Dead Sea mineral soap available at “non-spa” prices and the first Dead Sea mineral soap to be offered in five silky-clean scents. This all-natural, eco-friendly brand encompasses all things green, from the ingredients to the packaging and is available at a super-affordable price. As the name suggests, the Dead Sea is devoid of life due to an extremely high content of salts and minerals. It is these natural elements which give the water its curative powers found within the One With Nature Dead Sea collection. 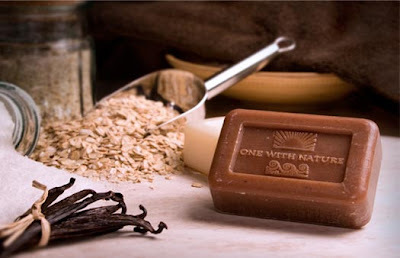 One With Nature all-natural skincare products contain high quality natural ingredients and are produced cruelty free. They contain no artificial colors, synthetic fragrances or preservatives and use no animal ingredients. These are definitely worth checking out at Whole Foods.